Blog: How Good is Your Brand at Social Listening? Depending the media outlet, it can be tough to get reporter’s ear. But when you do, the ability to verbally communicate why your pitch is valuable could spell the difference between getting exposure for your client or your company or trudging on to the next possibility. 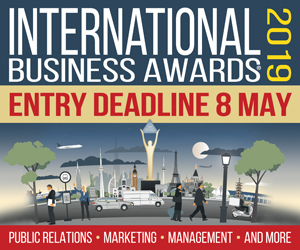 Verbal communication, sans industry jargon, remains a key component of PR, of course. Ditto for listening, and hearing what reporters and other stakeholders are saying, rather than angling for an answer that the boss ultimately wants to hear. As social media quickly moves to the core of marketing communication, “social listening” is becoming paramount to effective PR. But it’s a hard slog, particularly when PR pros are conditioned to driving the conversation. What is more, companies that remain siloed operate at a competitive disadvantage regarding social listening. 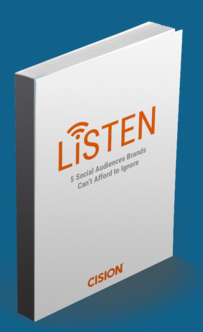 Cision’s new e-book, LiSTEN: 5 Social Audiences Brands Can’t Afford to Ignore, provides PR and marketing executives with a solid road map for how to navigate the social media terrain and effectively listen to the conversations that are germane to your customers, prospects, market, products and services. The e-book, released earlier this week, features advice from marketing and PR experts on how to listen to prospects; customers; competitors; influencers and employees. One of the major takeaways of the e-book: Don’t ignore or alienate people who talk smack about your brand online. Counterintuitively, they could be your best advocates to ensure a better brand experience. The e-book also has plenty of good takeaway regarding influencers, who, in some cases, have leapfrogged to the top of the PR and marketing chain. But all influencers are not created equal when it comes to brand advocacy. “These are people who love your products and through, say their use of retweets, can be spokespeople for your brand,” Andersen said. “And they can have influence over other people. It’s a snowball approach” to PR and marketing.